Hi there. I just visited your wikispace. I was able to look at the questions to the author page and loved it. I was hoping to view the dictionary page, but it wasn't available. I'm hoping to create wikispaces for my lit circles this year. Thanks for the example! I really like this idea because it is collaborative. I tried Kidblog, but was unimpressed with my students entries. This might be a good way to structure the process a little more. 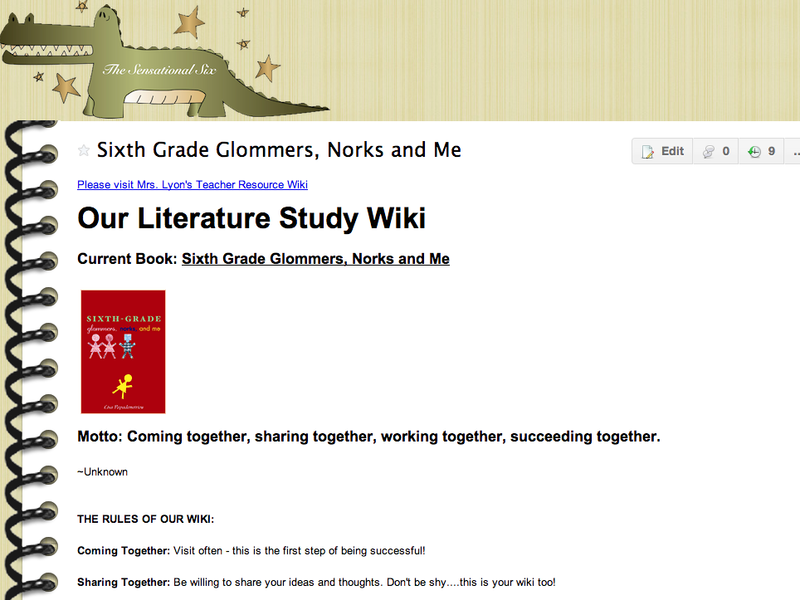 I used a wiki for writing collaborative reports two years ago, but with the last groups of sixth graders I was hesitant. Thanks for reminding me of the great tool a wiki can be. I'll be teaching eighth grade English this year for the first time in nearly 25 years. This will be the same group that I used wikis with in sixth grade. I've got ideas already floating in my head. Glad I stopped by!